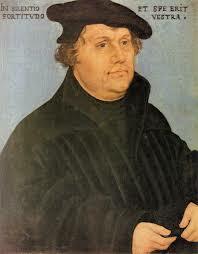 Life Explained EXPLORES HISTORY: The Reformation, Act 1. This is a blog post that was difficult to place. Originally it was going to go in Life Explained; The End. It is an ominous, portentous story of the terrible power religious zealots can wield. Here it would be wise to say I am not opposed to organized religion, at all. In fact, often I am a little envious of people who have something to help explain the awful things, something to hold onto when the world seems completely insane. So, practice, believe, and be filled with joy, I am happy for you. When the Roman Empire collapsed Europe was plunged into an age of anarchy, a vacuum. In stepped the Catholic Church, with the written word of God, the Bible, and the power to read and interpret it they controlled the population. If you wanted an education you went to the church. Armies were raised, monies collected, and the Church was in charge. People who objected to the Catholic interpretation were executed, sometimes in hideous fashion. And the Church had the word of God in defense of their actions. At the time the church was selling "indulgences." It was like a "get out of jail free" card. If you had the money, you could get some of those troubling little indiscretions forgiven, bypass Purgatory, a nasty place and go right to the Golden Gates. People are good at gaming the system and soon figured out, "hey, if I have enough samoleans I don't have to lead a pious life at all. I can raise hell, and still get to Heaven." And it was hard to dispute the logic, the church had the blueprint, the road map, the bible. And since it was in Latin they could tell you it said anything. With the changes brought about by the creation of a middle class, merchants, producers of goods, and the wealth implicit with the changing times and burgeoning economy people began to question the absolute power of the Church. It was the invention of movable type that gave them the power. And the man who kicked over the apple cart was a Church educated priest. Martin Luther nailed his 95 Theses to a church door in Wittenburg, and began the discussion, Then he did the unthinkable and translated the bible into the native language. Soon people were reading the bible, and interpreting it in their own ways. And if the "devil can quote scripture" so could the Europeans, and they did. And it got ugly. Next, the birth of a revolution.